This deluxe starter kit is for new clients only and contains concentrated dry powder base and liquid flavoring to make soft-serve frozen yogurt: 1 bag Low-fat Vanilla base, 1 bag Chocolate base, 1 bag Premium Original Tart base, 1 bag Fruit Whip base, 1 bottle of any Nanci’s fruit flavoring of your choice, 1 sample of cups/spoons, 1 tube of lube, 2 packets of sanitizer, 1 bucket, 1 stainless steel whisk and 1 digital thermometer. 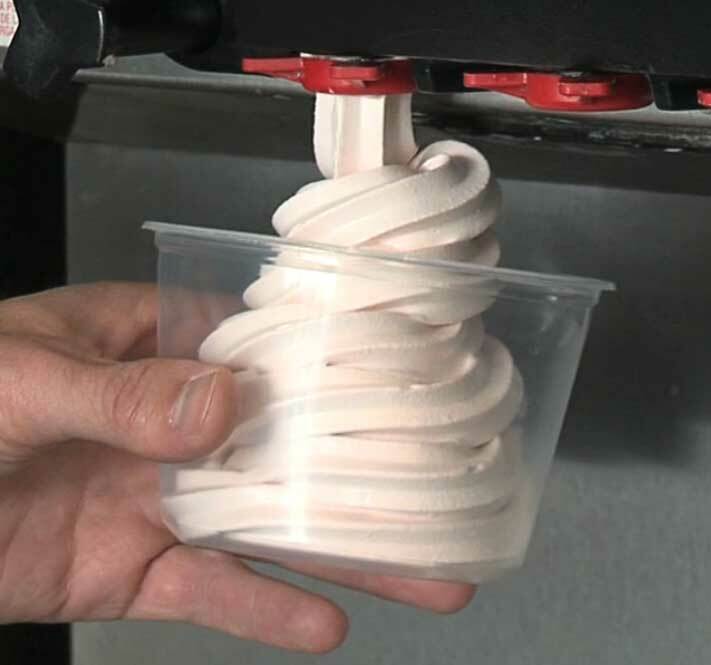 This is all you need to get your machine up and running with the best soft-serve on the planet! 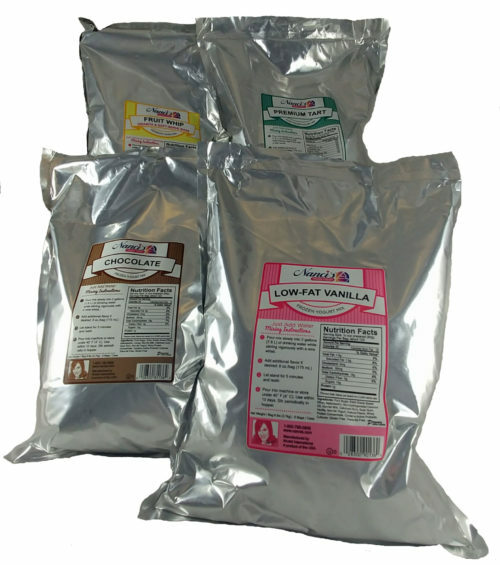 This is a new client sampler box of our 4 most popular base mixes: VANILLA, CHOCOLATE, PREMIUM ORIGINAL TART & FRUIT WHIP. 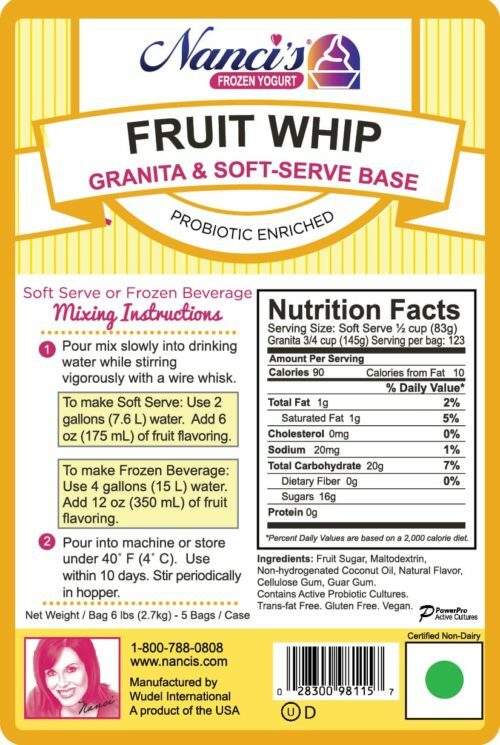 Since the Fruit Whip is a neutral base, this sample pack includes a liquid fruit flavoring of your choice. The default fruit flavor included with this pack is Hawaiian Pineapple. 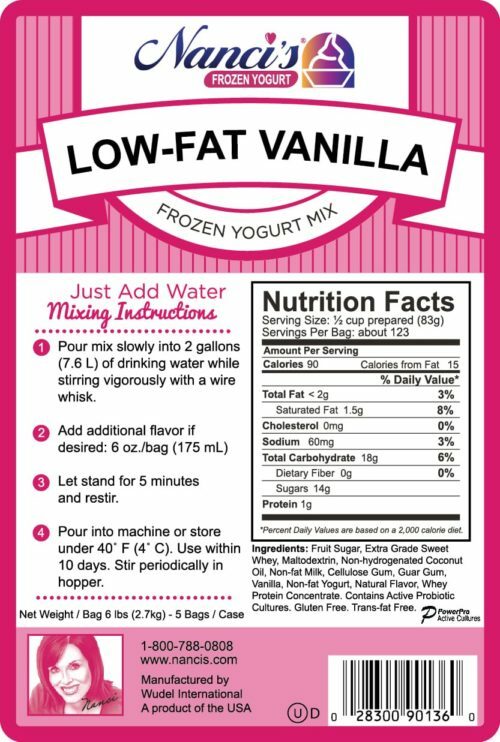 If you would like to try a different flavor, tell us in the “Order Notes” section at checkout. 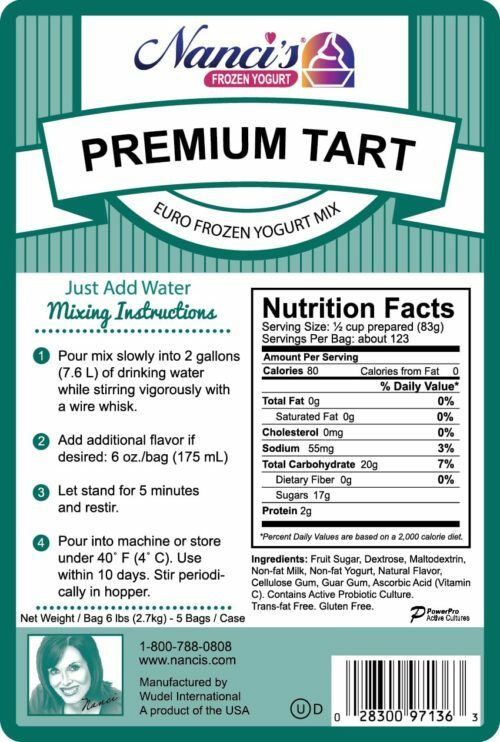 Just type in that section which flavoring or base mix you would like to substitute for any of these in the sampler pack.